Center for Environment Education North and U.P.Forest Corporation jointly organized a Nature camp at Sandi Bird sanctuary Hardoi for the children of kendriya vidyalaya Gomati Nagar Lucknow and City Montessori School Anand Nagar lucknow. 28 school children attended the camp held on 15,November 2013. CEE north and U.P.Forest Corporation jointly organized a nature camp at Sandi Bird Sanctuary Hardoi for the children of L.O.C.Higher secondary school Hardoi. 28 school children attended the camp held on 23,December 2013.  CEE north and U.P.Forest Corporation jointly organized a nature camp at Sandi Bird sanctuary Hardoi for the children of City Montessori School Aliganj Lucknow. 20 students attended the camp held on 24th December 2013. CEE north and U.P.Forest Corporation jointly organized a nature camp at Nawabganj Bird sanctuary Unnao for the children of Inter College Bakshi ki Talab Lucknow. 25 sctudents attended the camp held on 27th December 2013. CEE north and U.P.Forest Corporation jointly organized a nature camp at Sandi Bird sanctuary Hardoi for the children of City Montessori School Lucknow. 50 school children attended the camp held on 9-2- 2014.